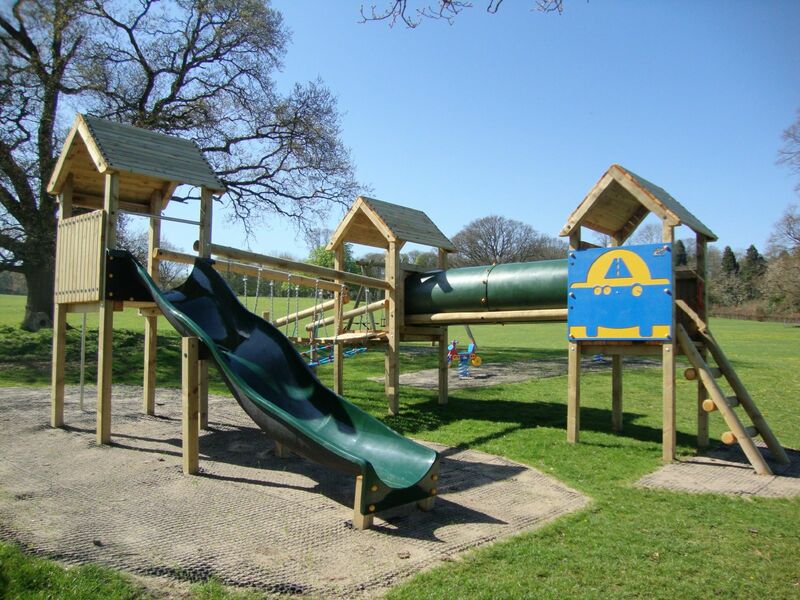 Heavy-duty fibreglass bumpy slide (can be upgraded to stainless steel slides). 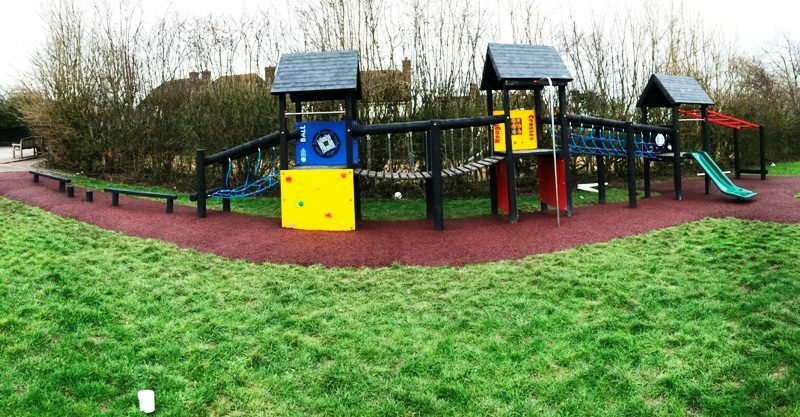 Steel reinforced, vandal resistant, heavy-duty Approach Scramble Net. 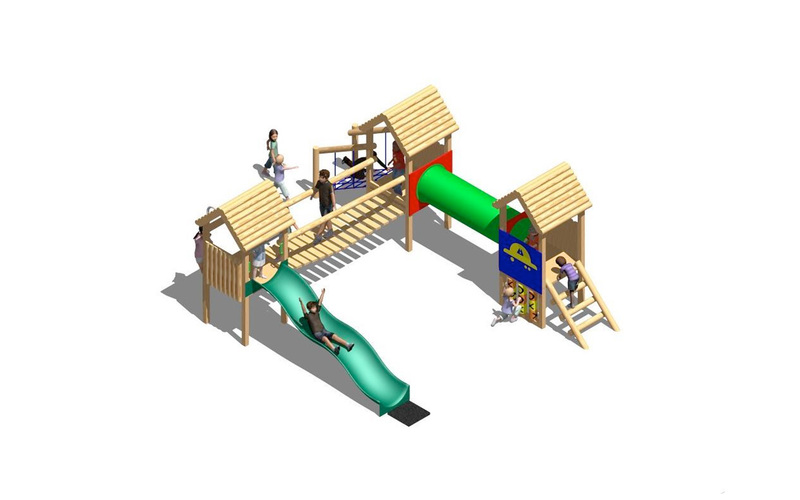 Word Game Panel (or OXO panel). 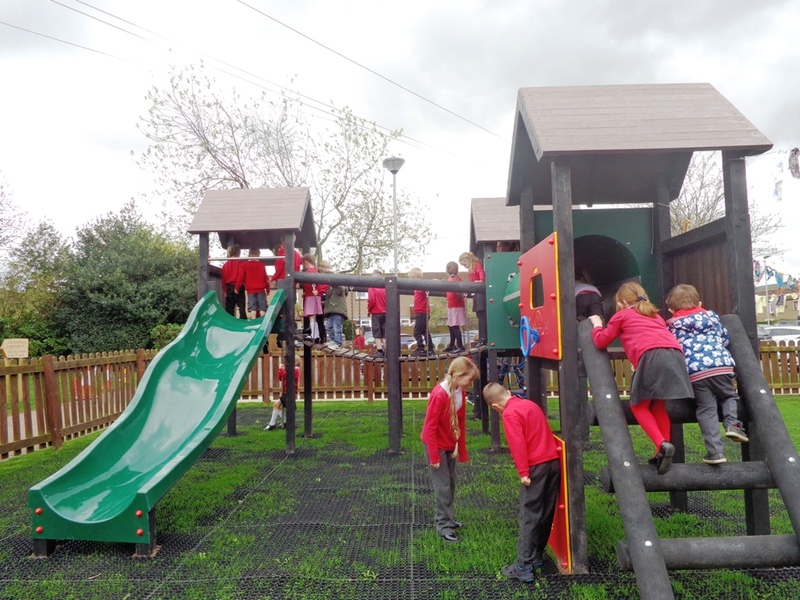 The 3-Tower Activity Centre is safe on grass. 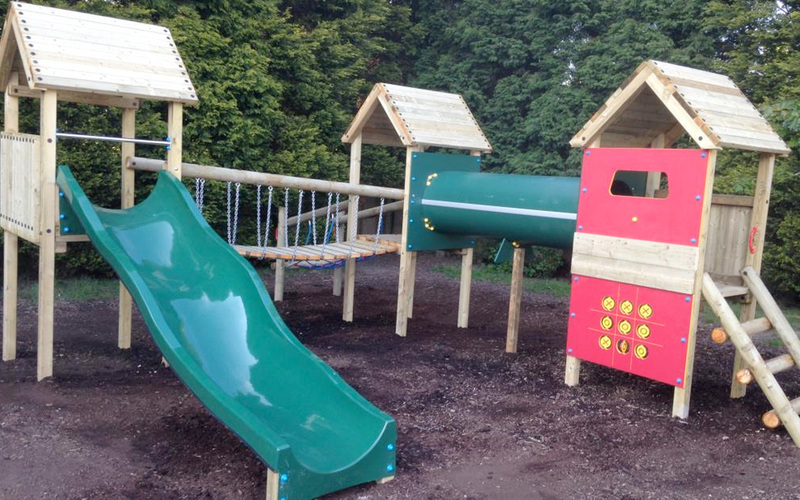 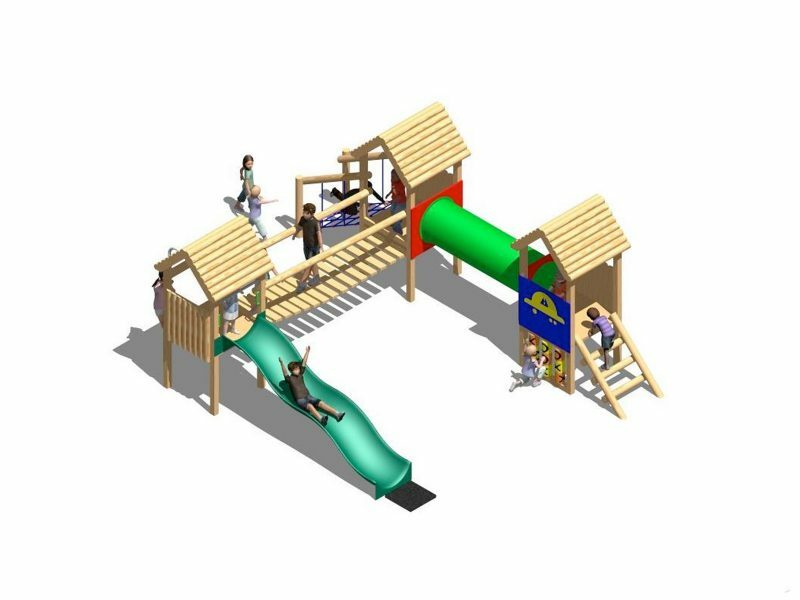 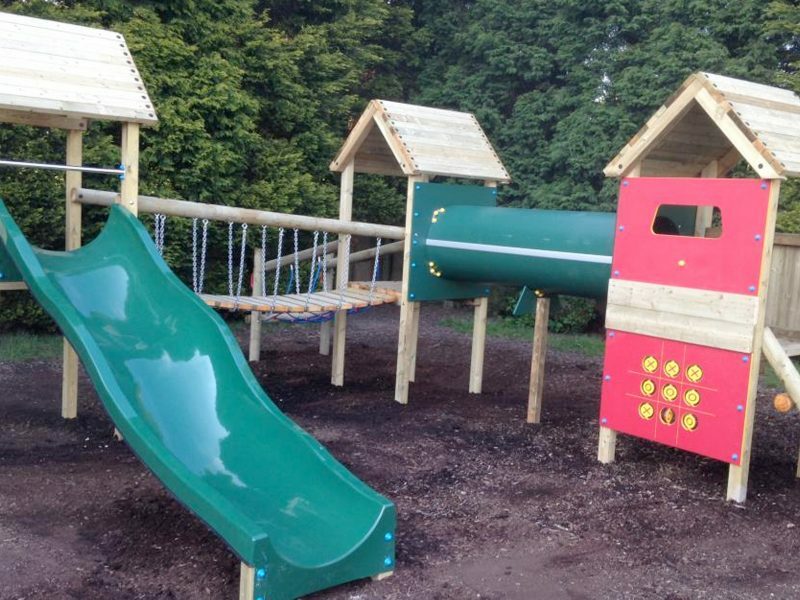 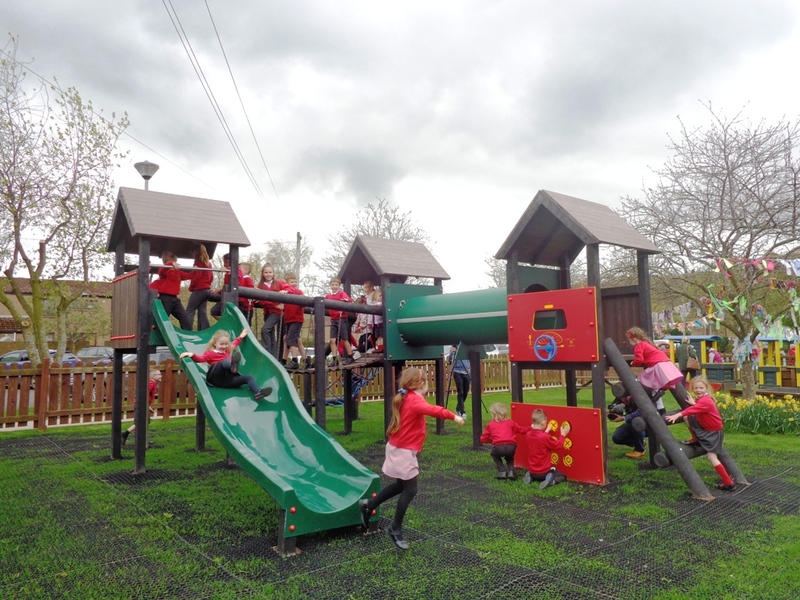 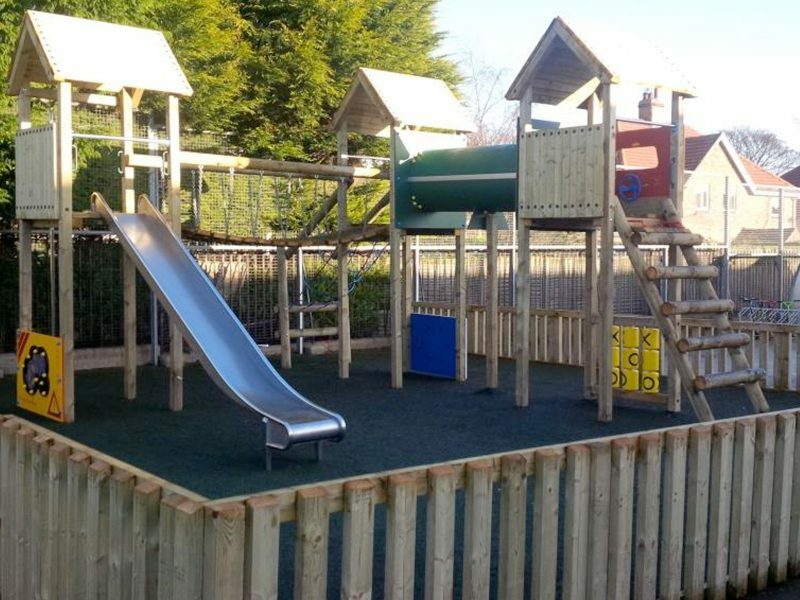 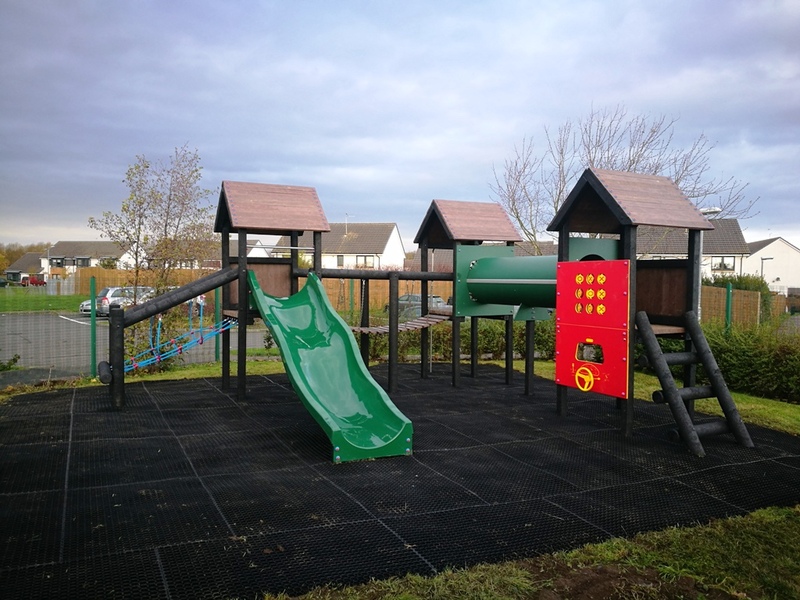 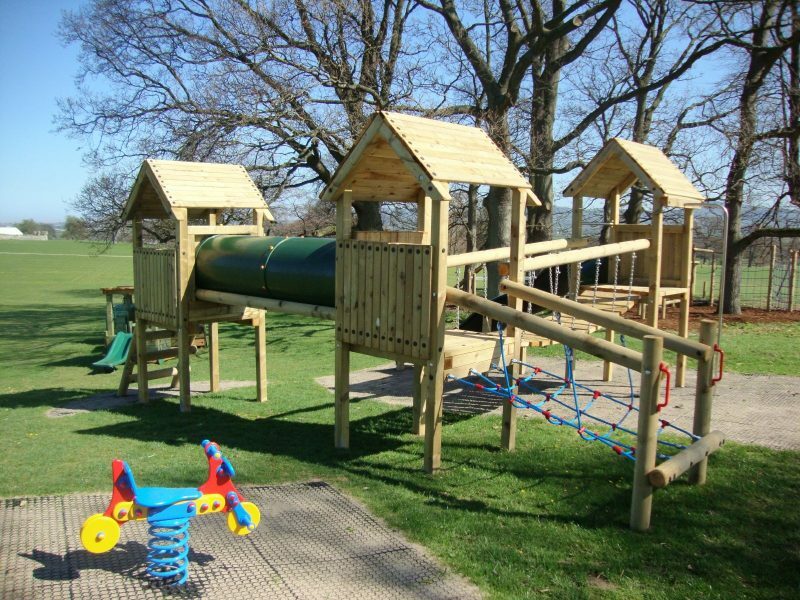 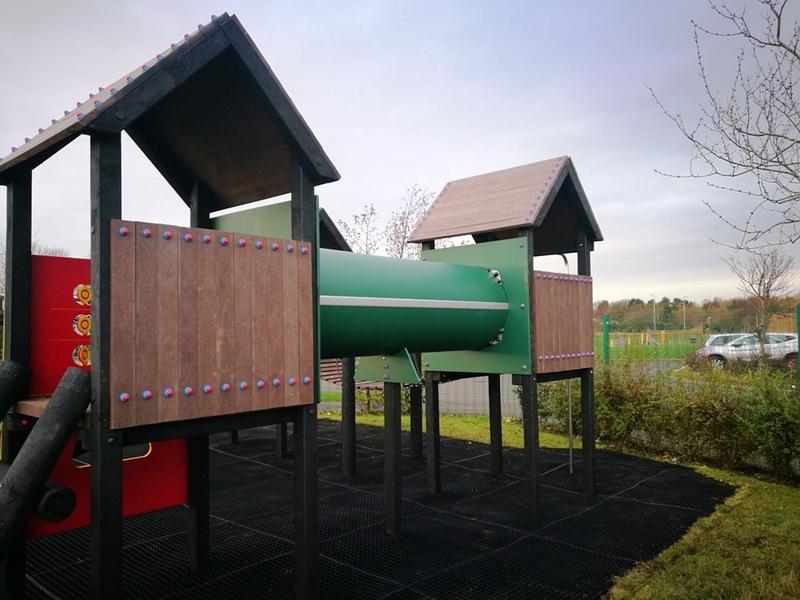 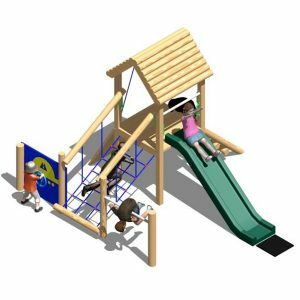 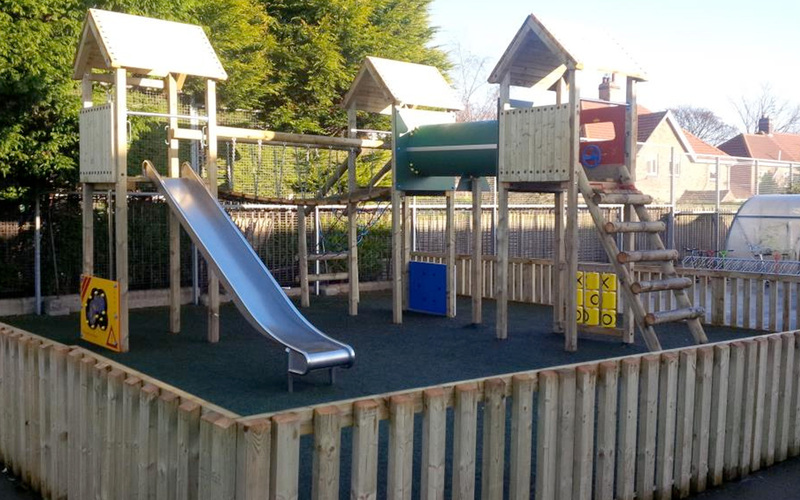 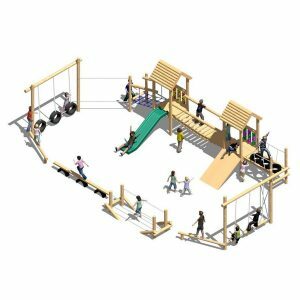 The 3-Tower Activity Centre features three playhouses – linked together with a Clatterbridge and Crawl Tunnel – with an Approach Net and Approach Steps for entrance, and a Bumpy Fibreglass Slide and a Fireman’s Pole to exit the unit. 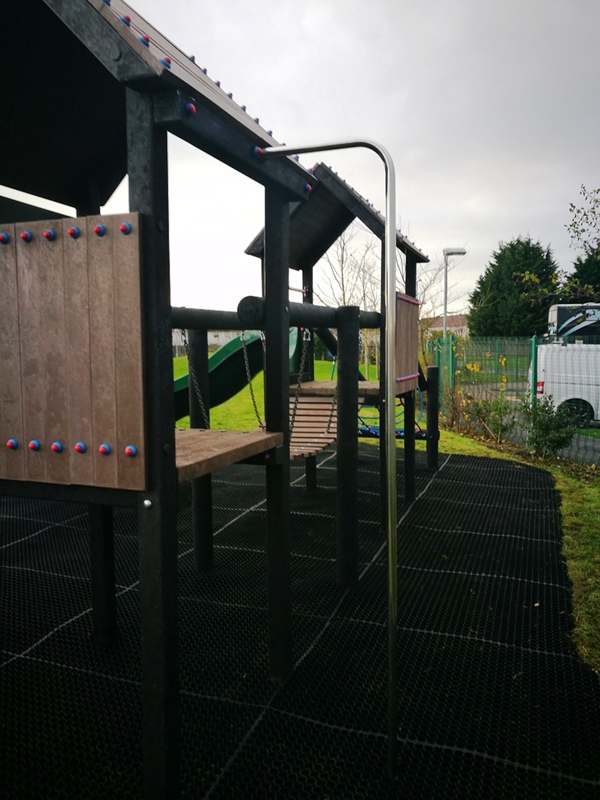 This unit is available with 600mm; 1m; or 1.2m height platforms – these options allow the unit to be installed onto a suitable grass surface without the need for addtional safer surfacing. 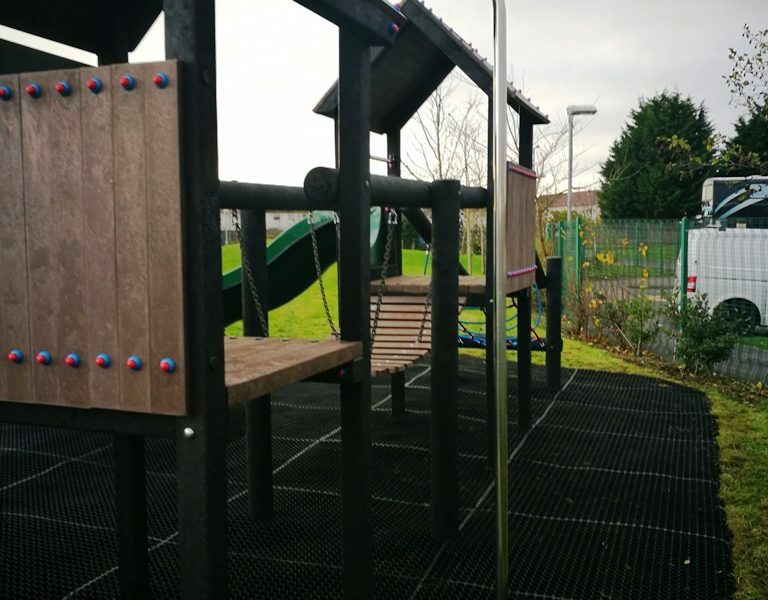 The 3-Tower Activity Centre is also available with a 1.5m platform, but please note that additional safer surfacing will be required. 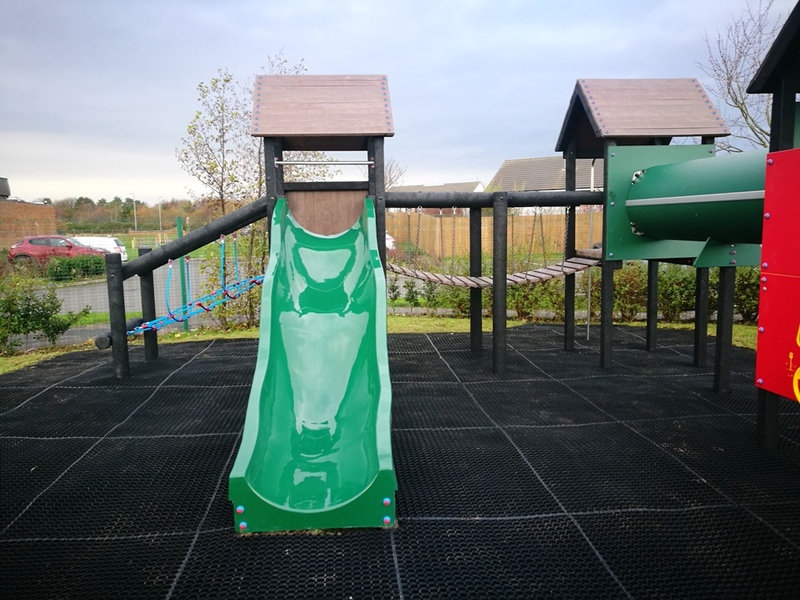 Please note that our large fibreglass Bumpy slide can only be fitted onto this item if the platform height is over 1.2m. 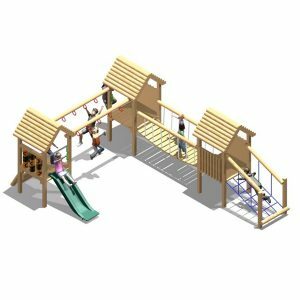 This product can also be adapted for users with special needs. 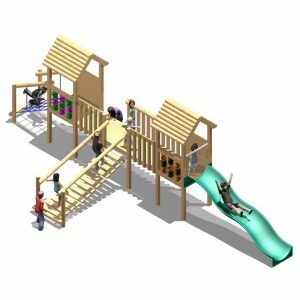 This item can be manufactured from either timber or recycled plastic.